With so many health food products on the shelves, you may wonder what the benefits are of green health drinks vs. eating raw vegetables. Both offer nutrition and convenience, but there are pros and cons to both. Green health drinks vary a great deal, from thick juices made from organic sprouts and added nutrients, to thin, watery substances available in convenient single serving bottles. You'll find powdered mixes, shakes, and even frozen concentrates available. Most of these drinks claim to be a substitute for five to ten servings of vegetables and fruits. Some of them offer extra calories, added fiber, or even "energy" in the form of natural stimulants. They have become extremely popular among the diet and fitness crowd. If you believe the hype, green health drinks can do all sorts of wonderful things for your body. Most of them do actually offer a nutritional boost, but there are drawbacks as well. An easy way to get several servings of fruits and vegetables. They can be convenient and portable. Additions of fiber and calcium offer added value. They are a good way to get a wide array of vitamins and minerals from a variety of different vegetables in a single serving. Some forms of these drinks can store well and last longer than fresh veggies. They often taste grassy or otherwise unpleasant. Consistency can be thick and difficult to swallow. Many don't have the fiber raw vegetables offer. They are not as filling as "real" food. You have to read labels carefully to be sure of the ingredients and where they come from. Raw vegetables are widely available, and their nutritional benefits are well known. Eating vegetables in their raw state preserves the natural vitamins, minerals, and other good-for-you elements that cooking and processing can destroy. While everyone knows vegetables are good for you, sometimes people have trouble getting enough of them into their diets. When making a comparison, you'll see there are pros and cons on both sides of the green health drinks vs. eating raw vegetables debate. They are undeniably good for your health. Fresh vegetables contain natural sources of nutrients, and there's no need for label-reading. Vegetables are filling and tasty. You can find vegetables at any supermarket, and when they're in season, they are inexpensive. You can grow your own vegetables, making them even more cost efficient. They are full of natural fiber. Vegetables are easy to prepare and serve. They have a shelf life that is often only a few days. You have to eat lots of them to get the recommended daily serving amounts. Some people just don't enjoy eating vegetables. While some are quite portable, such as carrot and celery sticks, others don't lend themselves to convenience. 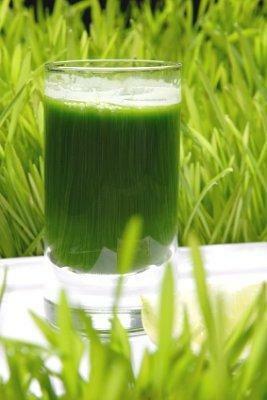 Green health drinks can offer a nutritional boost to anyone, vegetarian or otherwise. While they can be a healthy addition to your diet, eating raw vegetables is the best way to ensure your body is getting what it needs in the most natural way possible.Since green drinks vary so much from product to product, you have to read the labels carefully to know exactly what you're getting. Used in moderation or as a supplement on busy days when you may not get enough servings of vegetables to meet your daily quota, they can be a handy alternative. Basing your diet on whole foods, including raw vegetables, is always the best route to take towards health and wellness.